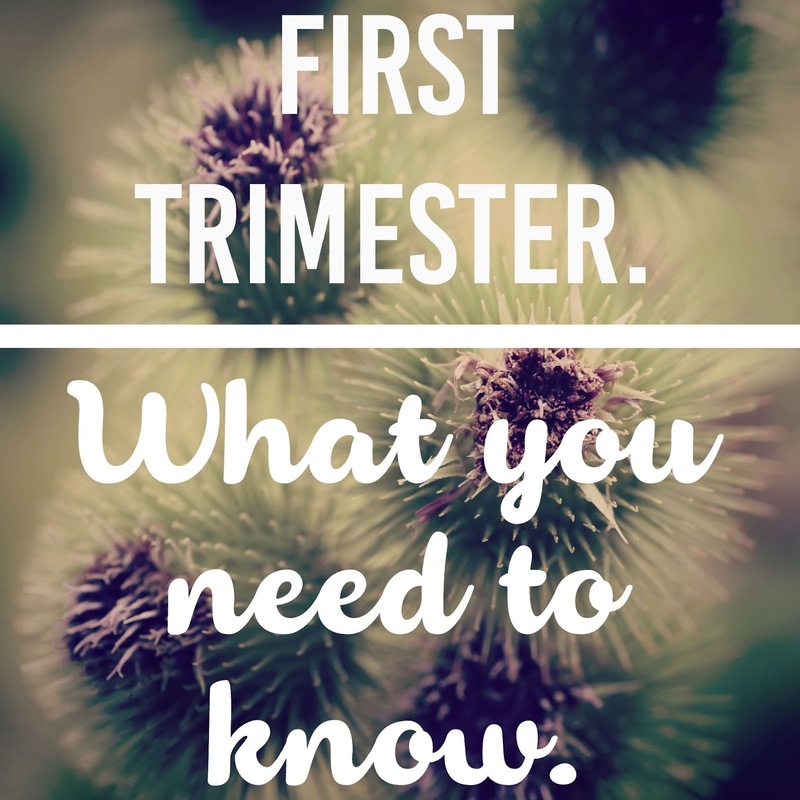 First Trimester: What You Need to Know. | The girl who loved to write about life. I realize that everyone has different experiences with pregnancy. I also think that once the baby is actually here, people tend to sugarcoat everything that happened pre-baby, because the baby is so great that everything else pales in comparison. I want to blog about it all along the way, not just after. So let's do this. Go to the doctor right away. Do not pass go. Do not wait. Go right away. They don't schedule your first appointment until 8 weeks, so I spent 3 whole weeks vomiting every single thing that I ate right back up, because no over the counter medicine worked for me. It makes me cry to think that I could have gone to the doctor the day after I found out and got a Zofran prescription. So do it. If you're sick, do not wait. Don't eat a ton of your favorite foods. I don't know why I thought it would be a good idea to eat my favorite foods when I knew I'd be throwing them right back up. Terrible, terrible idea. Now that I can actually eat, my favorite soups are off limits, as is any meat other than chicken, and, worst of all, all Mexican food. Do yourself a favor and just eat bland foods if you're throwing up a lot, otherwise you might ruin some foods for a long time. Cut yourself some slack. I'd never been so sick, and I'd also never been so tired. I couldn't do anything, and it made me feel like the biggest slacker. Pregnancy is 40 whole weeks, surely I shouldn't already be out of commission at only 8 weeks. But dude, you're growing a human and it is sucking all of your energy. If you need to go to sleep at 8 to function, do it. Don't freak yourself out. I wasn't planning a baby, so I immediately felt behind. I know nothing about having a kid or being pregnant! So, of course, I turned to Google. Big mistake. Because who knew that you're supposed to quit caffeine, and that doing ab workouts squish your baby, and eating too much chicken makes your baby hairy, and a thousand other bizarre, confusing statements made online. And then I go to my first doctor's appointment, and the entire list of instructions from my doctor were as follows: Don't eat raw fish, don't smoke, don't ride a bike, and don't eat lunchmeat. Well, that was easy. Take that, Google. Make the best decisions for you. People all over have millions of different of opinions about what you should do or not do. There will always be a $200 stretch mark cream that you need to buy, people who tell you that going vegan is what's best for the baby, people who advocate only organic everything, people who say that you should or shouldn't take certain medicines, people who will tell you that if you choose to vaccinate your kids you're basically signing their death certificate. Unless any of these people are a doctor, their opinion has no more weight than yours does. So talk to your doctor, of course, but then make the best decision for you. This is your baby, after all. It gets better. I feel so much better this week than I have in 14 weeks. It is magical. So, just keep going. It gets better. Here's hoping that the second trimester continues to be so much better than the first! Take that, GOOGLE!!!!! What a fun post to read, thanks for sharing! Yessss, to all of it. I felt terrible in the first trimester too :( I couldn't agree more about sleeping when you need to. I get off of work everyday at 3:30 and I used to beeline out the door. My goal was always to be on the couch, snack eaten and falling asleep by 4. I'd nap until my husband got home between 5:30 and 6. He usually brought dinner or made it and then sometimes I'd go right back to sleep. Ahh, I don't miss the first trimester at all and yay for being done with it. I've had so much fun in the second! The forums at Baby Center are enough to scare any woman away from pregnancy. I didn't have morning sickness, but the bad grammar and acronyms made me nauseous. YES. My first trimester was so much better when I finally called the dr after a week of not being able to eat anything. They told me something to take over the counter, and while I still felt awful, I was at least consuming food and sleeping again. Totally worth the five minute phone call. Now being in the third trimester during the middle of summer, it would have been great to know about heat rash! I smell like baby powder and cocoa butter on the daily. The first trimester, which lead into 6.5 months of throw up for me, was the worst!! I had to get meds just to keep food down, it was bad! All your tips are spot on. I just now, 8 week postpartum, can now start to enjoy my favorite foods again bc I thought trying them while pregnant would be amazing, nope lol. All good tips! My first trimester was very similar, I was so sick every day and my nausea medication was heaven sent. Women that aren't that sick don't understand and it can be hard because you feel so GUILTY for doing nothing but being parked on the couch feeling like a zombie. I'm so glad that you are feeling better. Can't wait to find out what you're having! Good info! Google is the enemy sometimes, right? If chicken makes a hairy baby then I'm in trouble. I've been eating so much chicken! Thank you for sharing! I have always loved your positive, realistic outlook on things, and I think this is just that, a positive, realistic view of what to expect! These are great! I'll surely look to them when I eventually find out I need them! So, so thankful that you are feeling better. Like everyone else, I can't wait to hear whether your little one will be a boy or a girl! I am not pregnant or married, but absolutely love collecting this insight for future reference! SO glad you're feeling better. YES. This is so good. The first trimester was pretty much the worst thing that ever happened to me. Especially going to the doctor. I was so sick I had to bypass the doctor and go straight to the hospital. Those days were just so hard. Google is the pregnant woman's mortal enemy. I almost made my husband put parental controls on my phone so I would stop googling things. Plus, the internet is so full of things you neeeeeeed or you won't survive pregnancy. It gets even worse after you have the baby. I didn't buy a $200 bouncer that's iphone-powered and my kid is just fine, thank you.